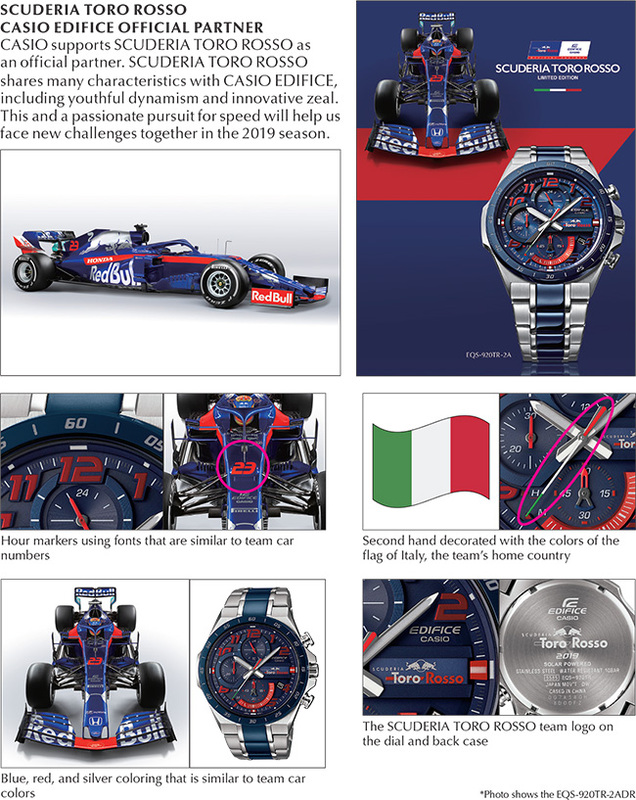 These are the latest collaboration models between EDIFICE and SCUDERIA TORO ROSSO Formula 1 team. These new models feature a trio of design points that give the wearer a feel of the SCUDERIA TORO ROSSO world. 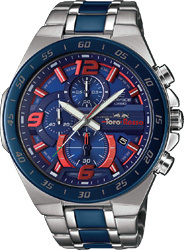 The exciting design of these models is completed by the SCUDERIA TORO ROSSO team logo on the dial and back case. Base models are the solar-powered multi-dimensional face EQS-920 chronograph, and the flat bezel EFR-564. 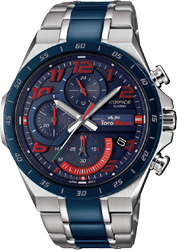 The sporty blue, red, and silver designs of these models make them the perfect choice for SCUDERIA TORO ROSSO fans.